October holds a very special place in my heart. My mother celebrated an October birthday, but she also fought her own personal battle against breast cancer twice, finally losing, 20 years ago. So each time I see a pink ribbon, each time I see a race for the cure, each time I see the valiant efforts of people all over the globe, rallying for breast cancer awareness month, I think of her. I think of her and I think of every single person who has been affected – those who have fought and lost, those who have survived, and the loved ones who are with them every step of the way. For me, the color pink has changed. It’s very personal. This month, I want to be involved in my own way – I joined the Food Fight and the KitchenAid® Cook for the Cure® initiative for breast cancer awareness. When I made this Raspberry, Coconut & Cardamom Panna Cotta in the beautiful cranberry KitchenAid® Diamond Blender, I could feel my mother’s presence in the kitchen with me. If only she could have tasted it! A panna cotta in and of itself is an elegant but deceivingly simple dessert – and this version, with creamy coconut touched with cardamom and raspberry is particularly alluring. 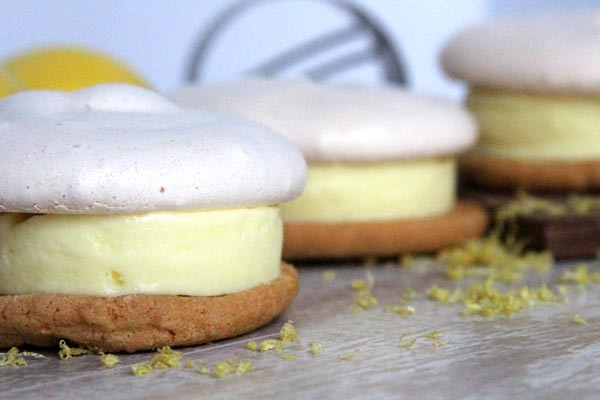 To begin, infuse the cardamom in some coconut milk and gelatin. Plump raspberries and sugar blend into a ruby sauce with ease in the KitchenAid® Diamond Blender. 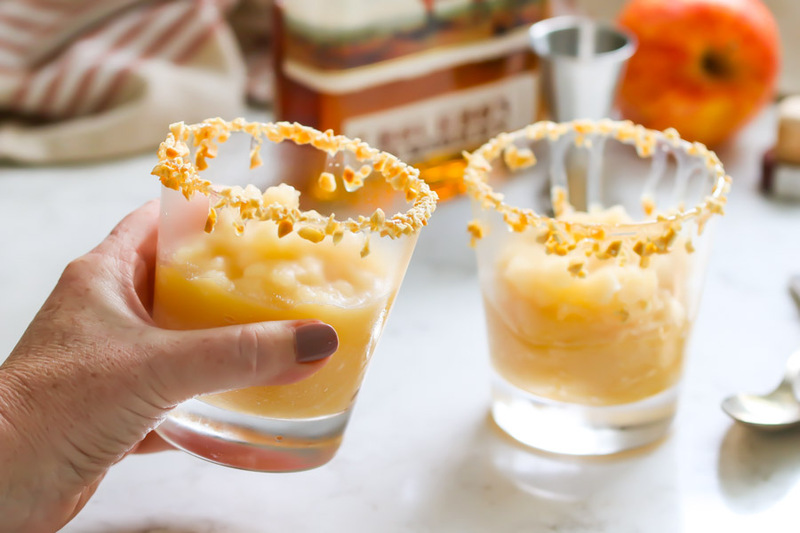 Doesn’t the sauce just blend so nicely with the blender? Just a touch of raspberry sauce goes into the cream to give it a flush of pink. All that is left to do is to let it chill in the refrigerator until the panna cotta is firm, then serve with the sauce and more fresh raspberries! Reserving 8-10 raspberries, place remaining berries and 1/4 cup sugar in a KitchenAid® Diamond Blender. Puree until smooth. Pour through a sieve to catch the seeds, and set the raspberry puree aside. In a saucepan, combine 1 cup of coconut cream with 1/4 cup of water. Sprinkle gelatin over the coconut cream and let it sit for 5 minutes. Warm the saucepan over low heat and stir, until the gelatin dissolves completely. Add the remaining coconut cream, cardamon and 1/2 cup sugar, and cook over medium heat until steam arises, stirring periodically. Slowly whisk in about 1/4 cups of the raspberry puree. Turn off the heat, cover the pan, and allow to sit for about 20 minutes. Retrieve the cardamom and discard. 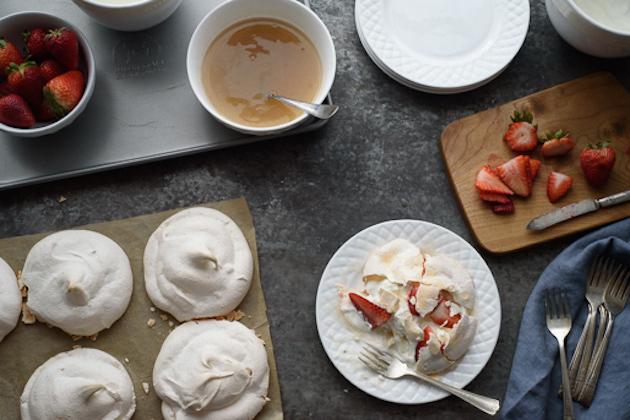 Pour the mixture into your ramekins or serving cups and chill in the refrigerator for at least 4 hours. 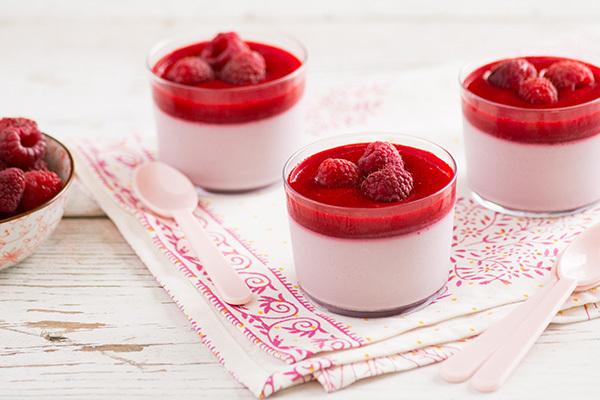 When the coconut panna cotta layer is firm, add a layer of raspberry puree to each ramekin/serving cup. Top with a fresh raspberries and serve. For more KitchenAid® Diamond Blender recipes, click here for our eRecipe book. How many cardamom seeds/pods did you use? Hi Sue, great question – I apologize, the recipe should have read 3 cardamom pods! Thank you! Hi there could you tell me how much gelatine powder would I use if I don’t have access to packet gelatine? 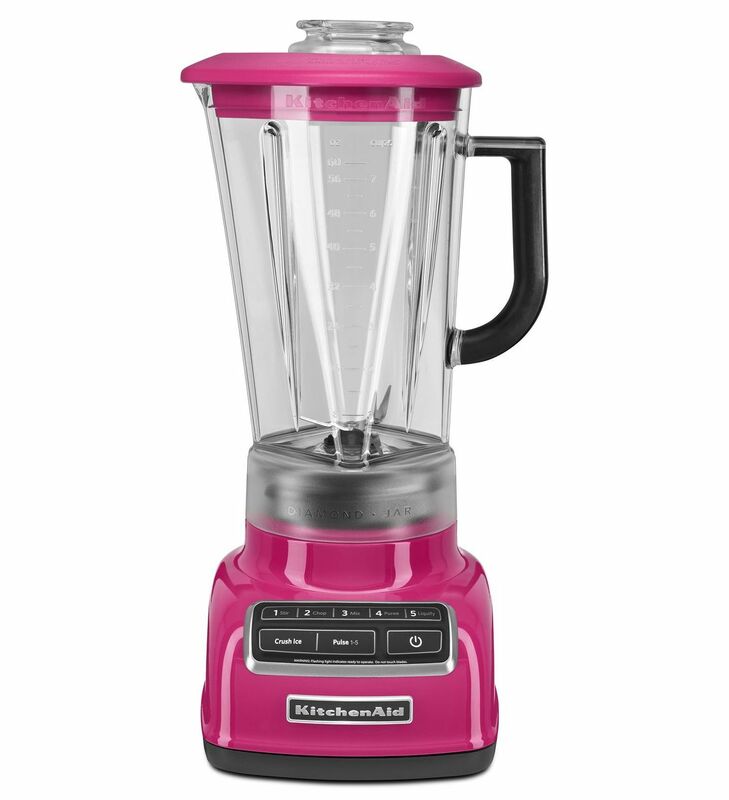 I’m looking to buy this blender in hot pink, but there are two colors that look almost identical online…do you know if this is cranberry or raspberry? Thank you!